I am obsessed with Instagram! I know that everyone is big on Instagram right now, but I think that it's my personal favorite because I'm such a visual person. I loving seeing gorgeous pictures and sneak peeks into people's lives everyday, it's a great way to get to know more about someone, see beautiful photography, and even get a laugh. Today I have for you my ten favorite Instagram accounts, which in my opinion are must follows. Amber from Barefoot Blonde posts different shots to Instagram almost daily. Her snaps most frequently feature her too cute son Atticus and his sidekick, their dog Chauncy, who I cannot get enough of! 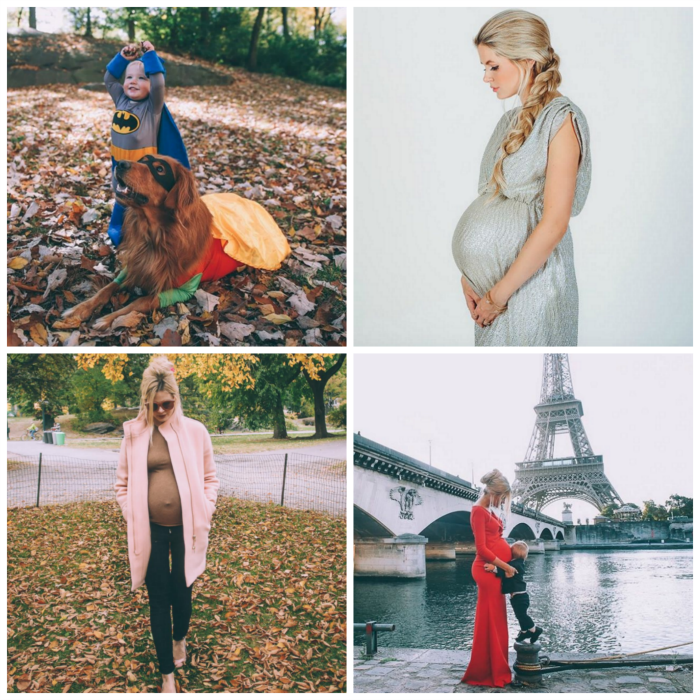 She also features a lot of fashion and beauty posts too, and most recently her adorable baby bump. I can't wait for her to have her daughter and see how she dresses her because I know it is going to be perfect! If you're looking for all things girly fashion, beauty, and travel Gal Meets Glam creator Julia Engel's Instagram account is for you. Julia's shares her life in photos on her Instagram and it is exactly what you would expect of her understated, chic, and glamorous. She travels quite a bit and always has beautiful shots from where she goes. 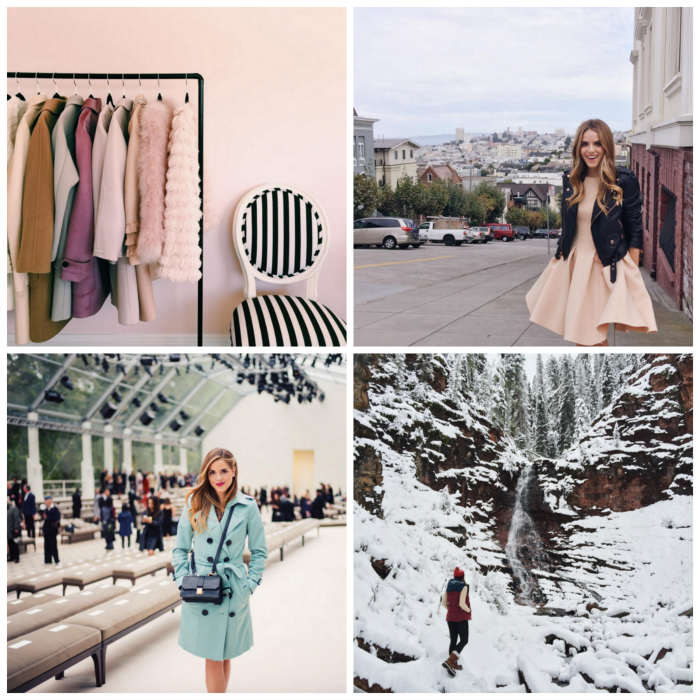 I personally love her feminine aesthetic and the pops of pink throughout her feed. 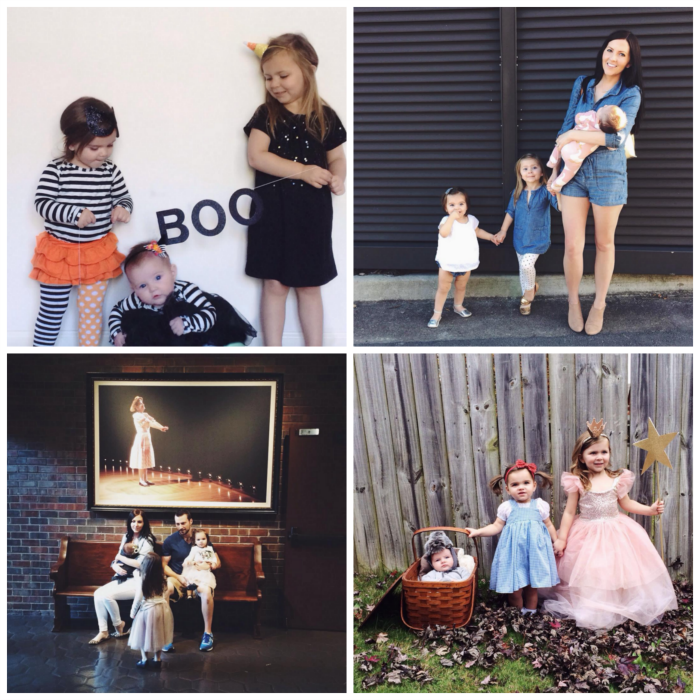 I absolutely adore Jessica Garvin's blog Little Baby Garvin so it's no surprise that I love her Instagram too. She posts pictures of her beyond adorable daughters, her life at home, and different places she goes. Her style for fashion, home decorating, and baby clothes reminds me a lot of Urban Outfitters and Anthropologie, and everything looks Pinterest perfect. However she keeps it real (check out her photo captions!) and gives a realistic look into her life. 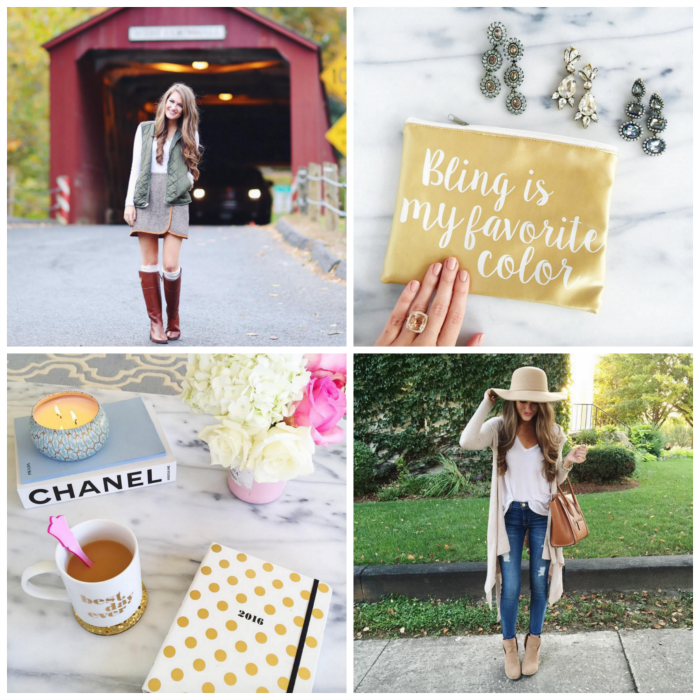 Carly aka The College Prepster has created preppy Instagram perfection with her account. 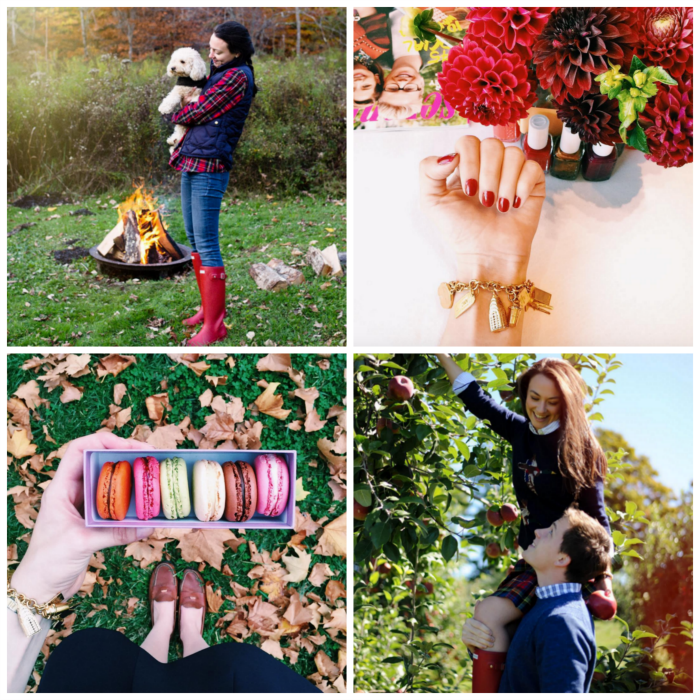 She uses her Instagram to document her style and life with her boyfriend and poodle, Teddy. She recently moved to Connecticut and her feed has been filled with beautiful New England fall activities, backgrounds, and naturescapes. 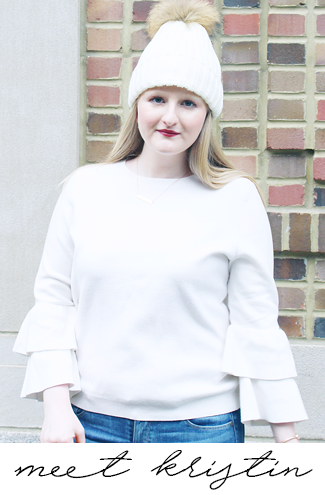 I love love love Southern Curls and Pearls blogger Caitlin Covington's style. She essentially uses her Instagram account as an extension of her blog and documents her style on it, which is awesome for those of us who might not have the chance to read all the blogs we like every day. She also incorporates shots from travels and cute little trinkets around her home, which is fun because it gives a peek into her life. 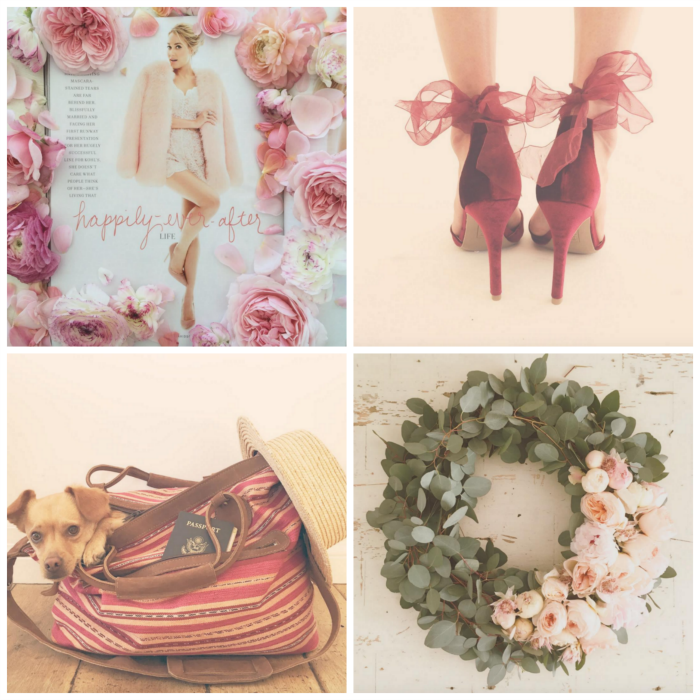 Lauren Conrad is known for her Instagram account and the gorgeous, curated photos she posts. Lauren has a super girly and feminine aesthetic (similar to Julia Engel's!) that her photos reflect. Her pictures all have a similar color scheme to them and a matching filter over the top, her feed really flows and looks as if each picture "matches" with the others. 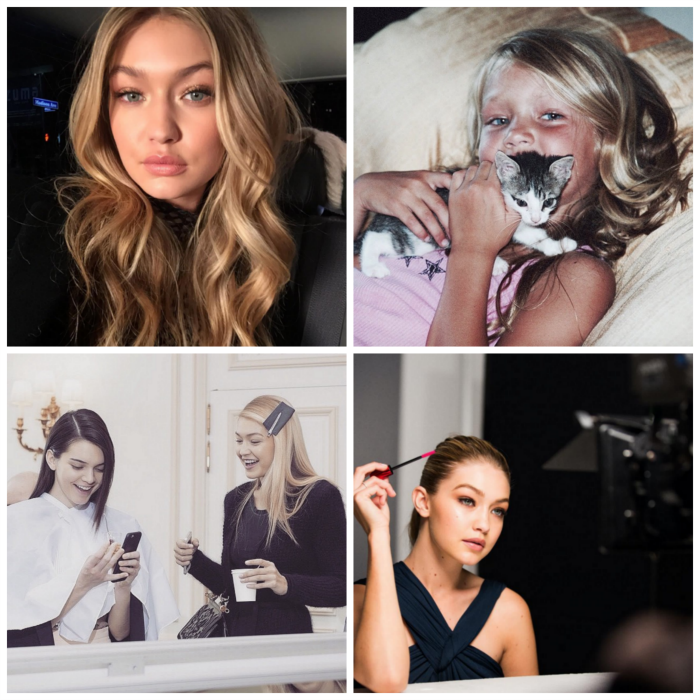 I am a huge fan of Gigi Hadid so it's only natural that her Instagram account is one of my favorites. Gigi posts pictures of her with friends, behind the scenes at work, her different modeling jobs, and throwback photos among others. The images she posts to her account makes her followers feel as though they are getting a behind the scenes look into her everyday life. Chrissy Teigen is beyond fabulous and this is well documented on her Instagram account. First off she posts the most drool worthy food Instagram's and makes me want to recreate all of her concoctions, she even started a food blog to share the recipes for the foods she posts. In addition to her incredible food photos you get to see her life at home and work through the pictures she posts. Chrissy is a really funny person and this definitely comes through in her account. If you are not following Crazy Jewish Mom on Instagram you are seriously missing out. This account was created by a daughter to share the countless messages she gets from her caring, yet at times overbearing, mother throughout the day. The texting conversations that are posted are absolutely hysterical and always guarantee a laugh. I had to include this account because my sister and I are obsessed with the too cute for words Sir Charles Barkley. 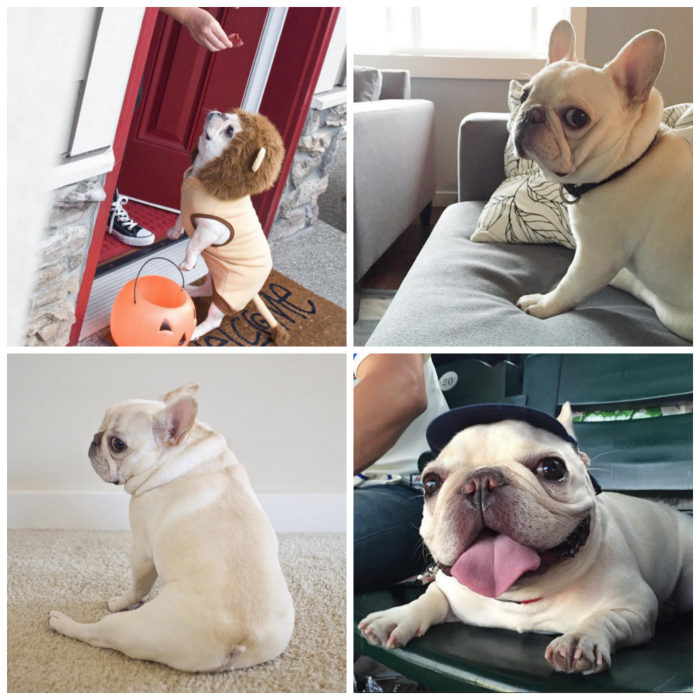 Barkley is a sassy, chubby, wrinkley little nugget who goes on different adventures with his owners and lounges around his house. If you're a dog lover you have to check out this account! So these are all of my favorite accounts! What accounts are your favorites?! I love Chrissy Teigen's account! Nice picks! Chrissy Teigen is one of my favorite accounts - she is fantastic! I follow so many of these too! I love Julia Engel's pictures. Do you follow her on snapchat? She seems like she is the sweetest person and she has such a cool life..she does so much traveling! Oh my goodness, Amber Fillerup is my absolute fav! Can I please have her hair?! I follow many of these accounts and agree that they are fabulous. Julia's account always gives me a SEVERE case of wanderlust! 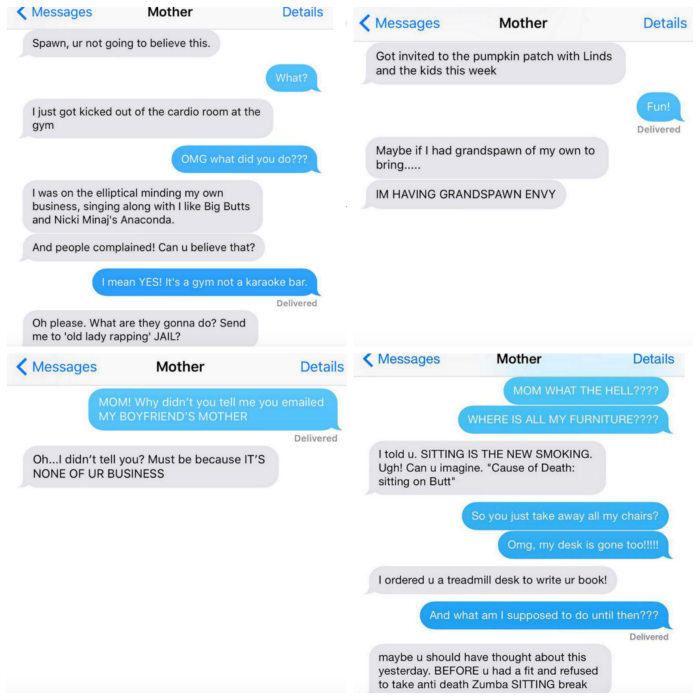 I am cracking up over the jewish mom account, too funny!! I am also obsessed with both Julia and Amber, I've been following them for years! Also, joining #tututuesday! Yay! That means when someone runs a search and is exploring that 'search term' your content may be discovered which leads to more people finding out about your business or brand.try these out the great stuff of the best social media marketing. Writing a business plan is essential prior to launching your business. You may think you have all the answers in your head: You know what you are going to do; you know to whom you are going to sell; you know what price points you are looking for, etc. But, if you do not take the time to write it out (in detail), then there is a high probability you will fail. The steps to writing out a business plan, for either an online business or a traditional brick and mortar business, are not that hard. But providing sufficient detail to try and convince an investor is. You should take at least that much interest in your business (and your business plan) even if you are the only investor in your go right here After all, you don't want to lose "your investment" in the business, do you? You should take a look at all areas of your business just as if you were investing money in someone else's business. Only then will you know if you have all your bases covered.